Yes! My iPad pulls through! So I tried earlier to copy a picture that I had in my Pages doc and that would not paste into my email, therefore did not show up on my blog entry. But this time I tried copy pasting from my iPhoto library and whala, please enjoy my picture of our cute little doggy. 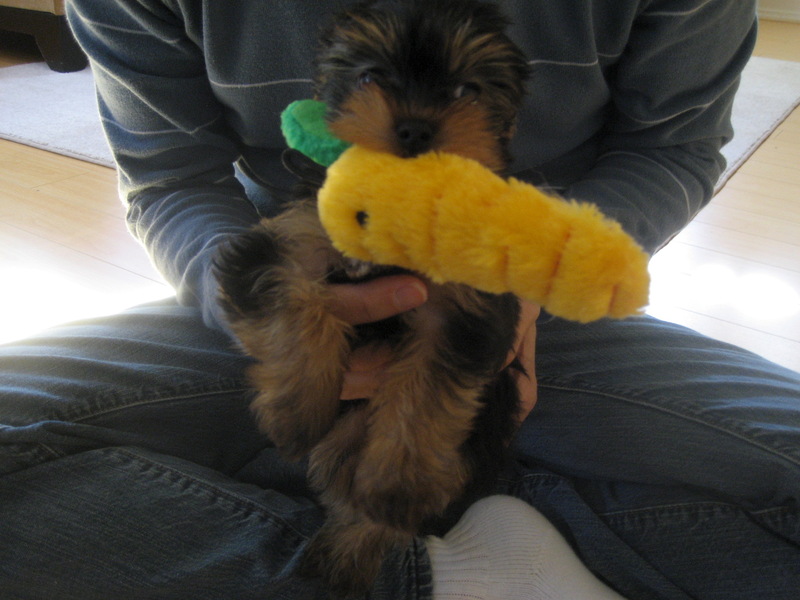 This is of course when he was a little 8 week old puppy. He is now a whopping 1 year old. And that old carrot of his has seen some difficult times since then.